Emily Wells’ work bridges pop and chamber music and explores concepts around human relation to the natural world rooted in a love for both. She is interested in the ways performance and recordings influence one another and works in both realms. At times she performs solo utilizing multiple instruments on stage (violin, synth, acoustic/electronic drums, voice), and at other times she performs with small orchestral ensembles or a single cellist and drummer. 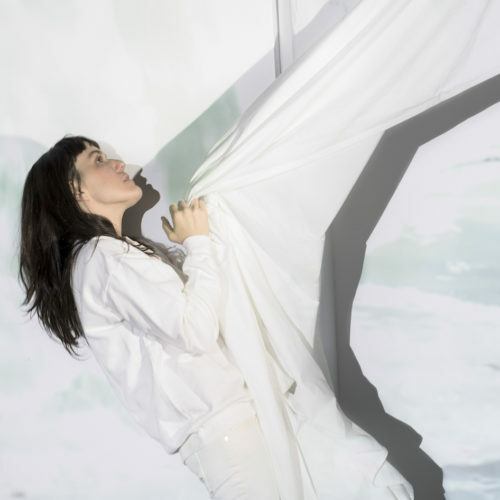 Her work also interacts with her video art practice through projection at performances which intersects imagery of contemporary dance, extreme weather and effects of climate crisis as well as protest footage from ACT UP. She has toured extensively throughout Europe and the United States and released multiple critically acclaimed recordings. Her work has appeared in both film and television and she is currently scoring her first feature length film. 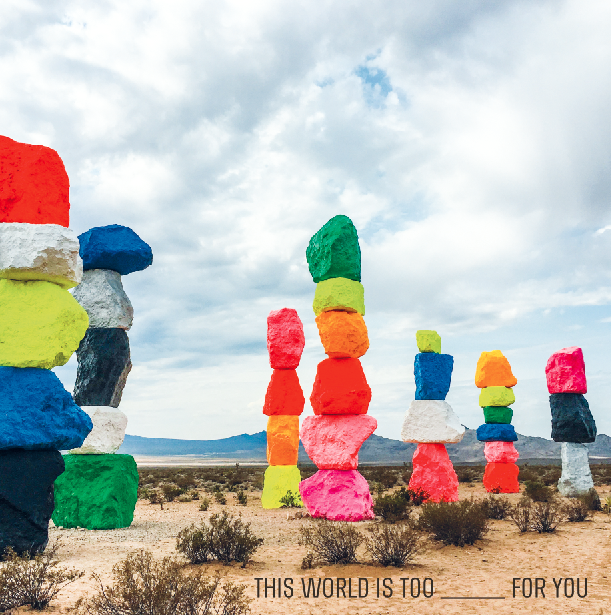 Her latest full length album, This World Is Too _____ For You was born as a commission of new works for voice, electronics, strings and french horn originally intended for performance. Of the songs Emily says, “These songs are the rub between desire for and desire to strip oneself of all wanting. I got attached to those margins, the place to explore the humanity inside the dust and doom of our collective uncertainties. But they needed some space… A place for the _____. I wrote in major keys and in familiar forms, playful despite the heavy materials I was working with. Dystopias need scoring.” As part of the commission Emily was able to choose an arranger to work with to help build out the songs, she chose composer / violinist Michi Wiancko. Emily would write and record sketches of the songs with layers of vocals and vocoder, synths, and beats and send them to Michi. Michi took these recordings and began creating a score, transcribing and arranging and composing, taking and bending melodies to create duets with french horn or lush percussive string parts which mimicked synth arpeggios or rhythms. After she had the chamber recordings in hand she had to find the most essentials parts, make room, cut and touch. The excellent composer/drummer Shayna Dunkleman (Xiu Xiu, Du Yun) came to Emily’s studio and the two recorded intricate drums and percussion to fill out the sample based sound world Wells had been developing for the songs. Wells re-performed the vocals on a beautiful old Neumann U87 and sewed it all together. She took the songs to her friend and producer, Jacob Plasse, with whom she worked on “Promise”, and they worked together over the course of a week to bring them into sharper focus. The final mix came together with Christopher Botta at his studio Fer Sounds in Brooklyn where the two spent many long days and nights experimenting with outboard gear, of which Botta has quite a collection, and getting the album to cohere as a sonic whole. The album was complete in December 2018.